We have extensive experience in the area of outsourced services for pharmaceutical companies and have leveraged that experience to find exceptional investment opportunities. ILEX was formed from a division of the Cancer Therapy & Research Center located in Texas, and initially focused its efforts on providing outsourced development services and clinical trials capabilities to major pharmaceutical companies. 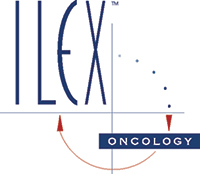 ILEX later evolved its business strategy; in addition to providing clinical trials services, ILEX acquired active anticancer agents and completed their development on its own behalf or with partners. ILEX completed its initial public offering in February 1997. The company reached a significant milestone, with the U.S. and European regulatory approvals and marketing launch of Campath. This put ILEX into a select group of approximately 40 biotechnology companies that have marketed products, out of more than 1,000 biotech companies overall. The company had a deep pipeline of other anti-cancer compounds focused on the treatment of both advanced and early disease. ILEX maintained one of the biopharmaceutical industry’s most experienced in-house development organizations for oncology drugs, with locations in San Antonio, TX, Annapolis, MD, and the United Kingdom. ILEX also conducted drug discovery research in angiogenesis inhibition, medicinal chemistry and nuclear receptor biology from its laboratories in Boston and Geneva, Switzerland. ILEX was acquired by Genzyme Corporation (NasdaqGS: GENZ) in 2004. Our $4.0 million investment in ILEX Oncology has a distributed value of $20.8 million.